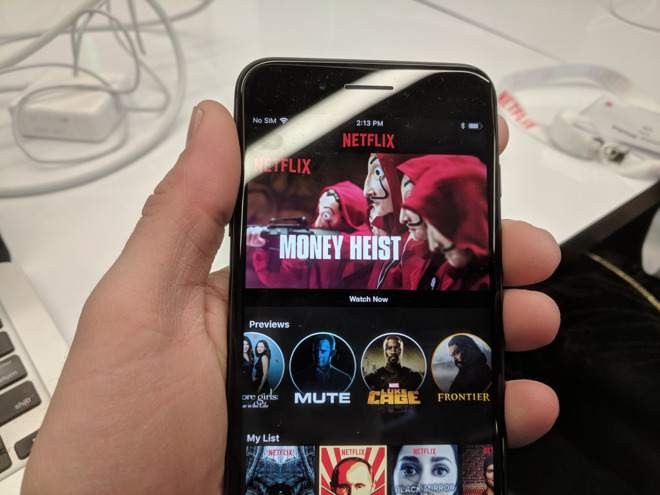 Netflix may be set to drop in-app payments for iPhone and iPad owners, giving the streaming service a greater revenue cut from people who still want to subscribe. Since Aug. 2, testing of the idea has been taking place in 33 countries, Netflix confirmed to TechCrunch. Some of the bigger test markets include Canada, France, Germany, Great Britain, India, Italy, Japan, and South Korea. The company in fact said that it's been testing since June, but began in just 10 countries. All new or resubscribing Android users have been unable to use Google Play for billing since May. Apple typically claims a 30 percent cut from App Store transactions. This can shrink to 15 percent for long-term subscriptions, yet having to split with Apple has forced some subscription-based businesses to weigh the balance between keeping revenue or hoping that the convenience of in-app payments attracts a large audience. Music streamer Spotify at one point offered in-app subscriptions, but charged more for those than elsewhere as a way of compensating for Apple's take. Rather than maintain a double-standard, it eventually caved and removed the in-app option, requiring people to sign up on the Web instead. Apple has allegedly been eager to push developers towards subscriptions, even arranging an invitation-only meeting in New York City to persuade them. The company is thought to be happy with its results so far, even though few apps are subscription-based. Apple's guidelines do not prohibit web-based services sign-ups. However, it does not allow the app itself to direct users to sign up on a company's website in the app.